The pots and pans are made of hard anodized, non-stick aluminum, making them twice as hard as steel. 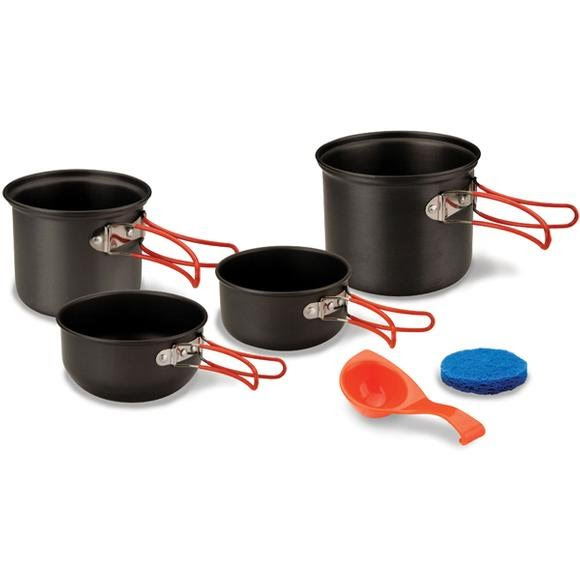 The pots and pan are designed for a quick heat transfer to save time and fuel. They also have convenient folding handles for compact storage. Everything is precisely designed to nest together and fit in the net drawstring sack.